Last year my kids requested NX Cash / Karma Koin for Christmas. 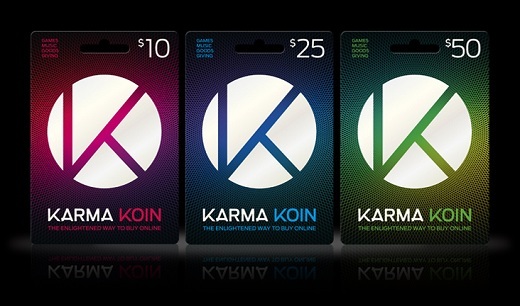 In case you don’t know, NX Cash / Karma Koin are cards you can purchase at stores that have scratch-off codes on the back that you redeem for in-game cash for NEXON games. Like Maplestory, or Mabinogi. Or Vindictus, Combat Arms, Dragon Next, Dungeon Fighter, or Atlantica. I bought $25 for each kid – $100 worth. We scratched off, then entered the codes the morning after Christmas Day, bought a couple of items, then went to sleep, plotting which of the magnificent Cash Shop items we would buy tomorrow. The next morning, we woke up, logged in, and the kids started buying. Except for my daugher, my girl. She logged in and ALL her NX was gone. Gone!? 23,910 NX just disappeared!? I logged into the NEXON site to check the account history, and SOMEONE had bought octopus legs, through the MTS, with all the missing NX. My kids all agree the new animated Maplestory shorts, New Leaf Saga, by Brian Schmoyer (aka CirrusEpix) are hilarious. Schmoyer, a teacher and animator from North Carolina, originally created 3 Maplestory parody shorts just for fun – as a satire of mmorpg gameplay and the typical neverending, repetitive, and illogical questing, endless monster killing (also known as grinding), along with “hackers, noobs and online romance”. Ironically, as a result of Nexon’s marketing department seeing the parody shorts, Schmoyer ended up getting hired to produce original animations for Nexon. Written and animated by Schmoyer, the New Leaf Saga animations explain a little bit about Maplestory, show how to play, and are informational, witty, and entertaining. According to Schmoyer’s blog, messages he hopes to get across to the Maplestory community through New Leaf Saga include: be nice to others, balance your playtime/play less, and create real friendships. If you’re a Maplestory fan, be sure to check them out! Maplestory facial expressions, find ’em here – F5! One of the fun things about playing MapleStory is interacting with other players through your character. You can customize your character with in-game equips including a wide variety of clothes and weapons purchased for mesos. You can also purchase NX cash with real money and access the Cash Shop for a huge selection of equips, hair style/color and face change coupons, and more. Using different facial expressions when interacting with other players is fun, and helps get the meaning of what you’re saying across more clearly. Maplestory gives you 7 default facial expressions, accessed by using the F1 through F7 keys. There are additional facial expressions you can purchase in the Cash Shop. It’s also common for players in-game and in forums to use the expressions while typing, kind of a Maplestory leet-speak. If someone says F5, that means they’re Screaming Angry! Or if they say F7, that would mean Sorrowfully Sad. Also, try not to F3 people you’ve just met too much. Facial expressions last for about 4 seconds after you press their assigned hotkey. Purchased NX cash facial expressions expire in 90 days. Face change coupons permanently change your look (eyebrows, eyes, mouth), not your face expression. Yesterday our house was filled with 8 middle schoolers on laptops all playing Maplestory together. They had a blast pqing, training, and exploring together. Made me wish I could join them… Anyways, what’s your favorite Maplestory facial expression – F2 ? Here’s a video I love, that gives you a feel of what Maplestory is all about, with a song I love, Nuvole Bianche by Ludovico Einaudi. MapleStory is a MMORPG (Massive Multiplayer Online Role Playing Game) where you kill monsters, hang out with friends, and play some games such as Omok, which is like tic tac toe except it has a much bigger board, and you need to connect 5 in a row horizontal, vertical, or diagonal. There are two kinds of pieces in each set. Some are mushrooms, pigs, octopi, and slimes. In MapleStory, you can also gain summoning sacks from doing quests or this kind of gambling thing called gachapon. With a summoning sack, you can summon monsters, and some people like to kill new players, by summoning them in secret (like me). In MapleStory, there is also NX cash or Nexon cash. With NX, you can outfit your character, buy gachapon tickets, buy facial expressions (you start out with 7 facial expressions on F1, F2, F3, F4, F5, F6, and F7), or sometimes you can buy meso sacks from events. NX cash comes in bundles of 10,000 or 25,000 from a store such as GameSpot. If you are buying NX cash online, you can buy a 5,000 card also. NX costs $1 for 1,000. Also, MapleStory is very addicting, so keep an eye on the clock. Gachapon tickets are used for running the gachapon, which gives you scrolls for upgrading equipment or equipment, including very rare equipment such as the Frozen Tuna. In MapleStory, I noticed a thing that kept happening: people quit MapleStory usually at levels 20-28. I found out a way that gets you to level through those levels very fast. There are dungeons in MapleStory such as the Ant Tunnel and the Dead Mines. In the And Tunnel, there are these critters called Zombie Mushrooms which are very good to train on and can also drop chaos scrolls, which are worth about 70-100 million mesoes. Chaos scrolls are good because they have a 60% chance of working, and if they do work, they can make a item very good, or very bad. I have gotten lucky, and gained 3 chaos scrolls so far. I only have one left, but I got 3 from the mushrooms, just showing you how much chance you have of getting them. I also got one more from gachapon. Dark scrolls are scrolls that have different % chances than normal scrolls. Here comes the “Dark” part – if the scroll fails, your item could be destroyed at a 50% chance. Normal scrolls have 10%, 60%, or 100% chance, and each chance changes the amount of status changed on the weapon. The 2nd best is 60% chance because with 10%, you fail a lot, with 100%, it barely does anything, and with 60%, it’s about average. There are also scrolls called GM scrolls (Game Master Scrolls) that make it so that it is a 100% chance scroll with the status change like a 10% scroll, therefore being the best scroll in the game. 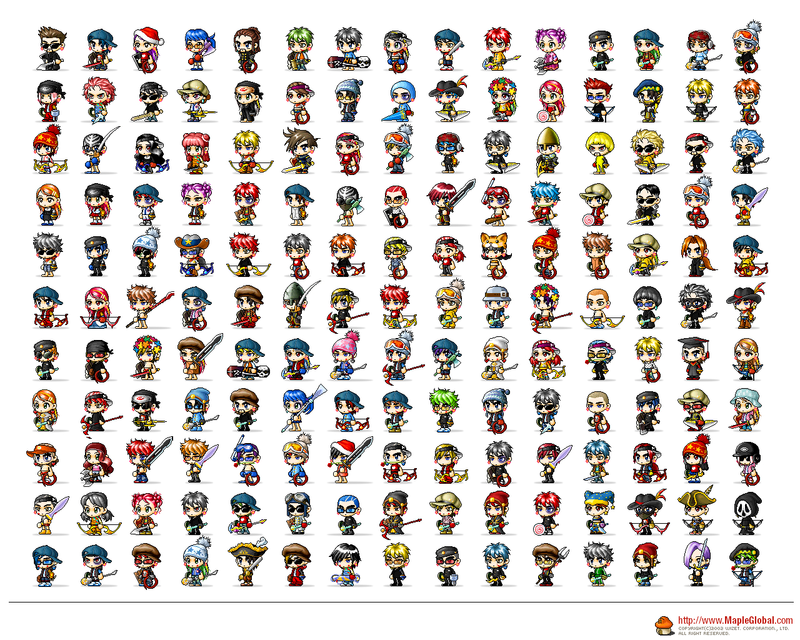 There are 5 Classes so far in Maplestory: Explorer, Cygnus knights, Arans, Evans, and Dual Blades. Explorers have 5 Classes with different weapons, such as Pirate, where you can wield either guns or knuckles (Brawlers, people with knuckles, are my favorite). Bowmen can use either bows or crossbows. Mages can wield either wands or staffs, but have 3 classes that wield the same things: Fire/Poison Mage, Cleric, or Ice/Lightning Mage. Warriors have 3 different classes they turn into: Fighter, using swords and axes, Spearman (which I suggest) that wield spears and pole arms, and Pages which use swords and maces. Then there are Thieves, with can wield daggers and claws – claws using throwing stars. Cygnus Knights are like Explorers but only use the following: knuckles, swords, wands, bows, and claws. Arans use pole arms, and Evans use wands. Dual Blades use kataras (not katanas) and daggers. I say MapleStory is for ages 10+ and I highly recommend it because it is fun, you can almost do anything, and it is accessible throughout the U.S.
Maplestory is a popular 2D, side scrolling mmorpg with over 100 million subscribers worldwide, and over 10 million players in North America. 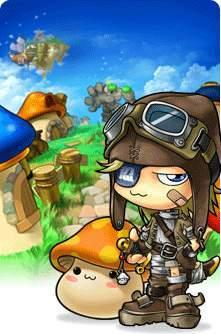 Originally released in 2003, Maplestory is a Windows based PC game developed by Wizet and published by Nexon America. It’s free to play, but you can customize your character and enhance your gameplay by purchasing Nexon cash with real life money. To play Maplestory, you log into Nexon.net and set up an account. Then go to Maplestory, log in, and click Start Game. You’ll need to download the client, then create your character and PIC (personal information code). Hint: get a small spiral notebook and be sure you write down all Nexon sign up information (name, birthday, email), and Maplestory account information (username, password, PIC). You will not be able to remember it, and you will need it, or risk losing your account. You’ll start out a “noob” on Maple Island, and work through a basic tutorial that shows you how things work. Soon you’ll be on your way, traveling the Maple World, battling monsters, leveling up, and meeting people. Maplestory has several different servers (Scania, Bera, Mardia, Broa, Yellonde, and more), so make sure if you’re going to play with someone, you’re both on the same server. All servers are identical, but separate. The Maple World is huge, and continually expanded by the game developers. Each area of the map has its own unique look and monsters, along with its own storyline – Victoria Island, Ludibrium, Magatia, Orbis, Aquarium, El Nath, Omega Sector, and much more. Battling monsters and completing quests are the main ways you level up and get EXP (experience) equips, mesos (in game currency), and items like monster drops, potions, and scrolls. There are many classes of jobs – Explorers, Cygnus Knights, Arans, Legendary Heros/Evans, Dual Blades – and within each class are various different skill builds. There is strategy involved in allocating a characters AP and SP points, including job, skills, and what weapons you choose. Mess up your character’s stats, and you could ruin your character by making it weak and ineffective. If you’re going to be playing Maplestory seriously, I recommend you check out some of the many guides available, to make life easier for yourself in the long run. One of the best things about Maplestory is the social aspect – you can join parties for party quests or to battle monsters together, join guilds, chat with other players, trade, play minigames, hang out in Henysys with friends, take part in huge KS battles, or just log in and use it as an instant messenger with real life friends and family. 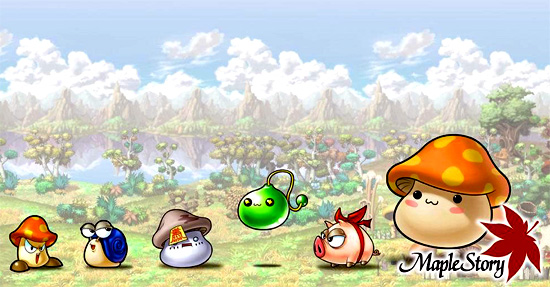 Maplestory has the in game Free Market, where players can buy and sell using mesos, and MTS (Maple Trading System), where players can buy and sell using NX cash points. But to access many items in the Cash Shop you’ll need NX cash. Go to CVS or GameStop, pick up a $10 or $25 nx cash card, log on to Nexon.net, redeem the code on the back of the card, and you’ll have NX cash for MapleStory, Mabinogi, Combat and Arms, and other Nexon games. Just remember – while a little NX cash can be fun, you’re paying real life money for pixels (virtual items). Maplestory is enjoyable because there are so many ways to play it. You can focus on leveling up, and grind away. Or hang out in channel 1 in Henesys or Ludi and meet up with old friends, or make new friends. Or go online with friends and explore new places together. Maybe you want to be a rich tycoon – browse the free market for deals, or scroll some equips; set up your own shop or trade in the MTS, and be RICH. Or maybe you just want to be the most powerful player, with the best equips – so you work on finding equips and scrolling them, and strategize about skill build and AP and SP points. Or maybe you just want to change your character’s look and hang out, so you get some NX and change up your hair, eyes, clothes, equips. The art in Maplestory is cute, colorful, and fun. They frequently have in game events, which are fun but can cause some serious lag. Maplestory is rating: ESRB: E10+. I feel it’s definitely a late middle school / high school / college age game. Of course, I play occasionally, too, and I’m way out of college. There are also a number of adult players on Maplestory, even adult-only guilds, and there are a number of family Maplestory players. My 8 year old only plays online when I’m online training or questing with her. And she is not allowed to talk with anyone in game. Ever. Before you let your kids play ANY mmorpg, it’s a good idea to have a talk with your kids about online safety and lay out the ground rules: no telling people your real name, age, where you live (can say state, that’s all), or contact information (email, IM, phone #, street address). Break the rules, and you’re off the game. Also, it’s a good idea to set a time limit on how much they can play, and a dollar limit on how much they can spend on NX cash. Like most interactive online games, Maplestory has its share of flirting, offensive language, trash talking, racism, and sexually inappropriate dialogue. There can be rude behavior, including defaming, getting kicked from parties for no reason, KSing (kill stealing), and harassment. Some actions you can take to avoid these things: minimizing chat box; blocking whispers, chat, and trade. There is an in game mechanism to report people. Be sure to supervise your kids playing; watch for them getting upset, angry, or sad. Grinding is boring, but Nexon has worked on making leveling up easier, including changing the exp rate, and adding quests, and party quests, to make leveling faster. Maplestory has had hacking epidemics in the past, so make sure you have up to date virus protection. Lastly, Maple can be addictive. If your kid’s grades are falling, or you feel they’re spending more time online than with real life friends, have a talk with them and cut back. Maplestory is fun to play, free, a way to connect socially, and enjoyable if you’re just looking for something to do. It’s versatile, challenging, aesthetically pleasing, and as hard or easy as you want it to be. Although, I will say, the jump quests are maddening. It’s great to be able to play with friends, and there’s a sense of accomplishment when you reach a goal (be it a high level, or a billion mesos). However, there are a few things you need to watch out for and be aware of. We are a Maplestory family – everyone, except Dad, has multiple characters. My highest level character is a level 85 Priest (which is kinda pathetic after 4 years of playing), while my kids’ characters are higher than mine. We can get up to 5 PCs/laptops going at once – sometimes the kids have friends over and they can all play together online, and sometime they play with their online friends from all over the world (including the U.S., the Netherlands, the Middle East, and South America). We haven’t had time to play much lately, with the beautiful summer weather – only playing on rainy days or those hot, steamy muggy days where we wilt, and need the air conditioning. The other day we had a sleepover party, and 1 of the boys we invited showed up with a laptop. That’s it. No sleeping bag, pjs, or toothbrush. Just a laptop. I guess that’s how it is, in 2010. The graphics are not as good quality as online. Not online; no way to play with friends – wish had wifi connection! Boring – can only battle monsters and do quests to level up. There you have it. In a nutshell.